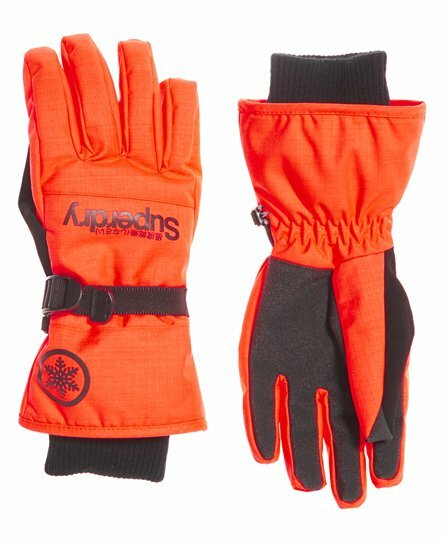 Superdry men’s Ultimate Snow Service glove. These snow gloves provide comfort and functionality which make them ideal for the slopes. The gloves come with a super soft lining as well as ribbed cuffs. The gloves also come with an adjustable strap over the wrist and a textured palm and fingers to provide grip. The Ultimate Snow Service gloves are finished with a Superdry logo on the front and the wrist.